Kids had Discoverers at VH, which was all very cute, because Stockton was just SO HAPPY to see Aaron and there were hugs and all kinds of lovey goodness. I think we made the right decision to do discoverers. It really has been their core group for the last 4 years. Stockton was begging me for a playdate, I did not see his mom, but must remember to email her and see if he can come next week home with us. I keep forgetting. Avery had a shitfit when we got there because he couldn’t go in the playroom because Terri’s class was in there. I planned to do what we did last year and hang out with the kids in Discoverers until they started doing their circle time and stuff. But he was having none of it. Then Terri even came out and invited him in to her class, but by then he was over the edge and still having a fit. So I took him for a walk and we went to Goodness. He was better after that. I have a small video of him at Goodness, and if you listen carefully, you can hear him counting to three. 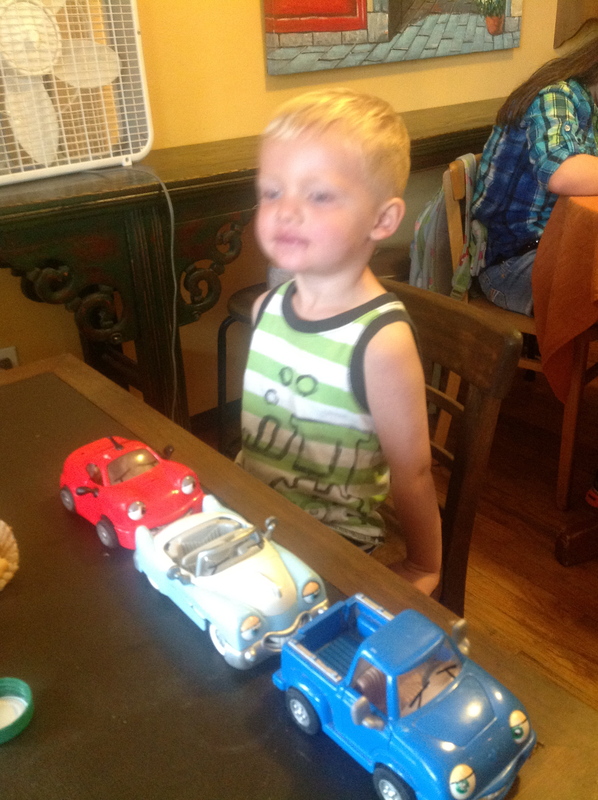 He has started to get counting, he counts cars now a lot. Naim and Aaron had their turn for show and tell and I just got back to pick them up for that. Aaron’s was something about Bionicles that I didn’t quite hear all of. Naim had me print out some pictures of his Shipwrecked play, so he talked about that. He did a nice job. I had a terrible eye something or other working it’s way up all day. It was a bit mind numbingly painful by afternoon, so I was basically out for the rest of the day.